Yesterday the Index formed an ascending impulse inside wave . The structure of the fifth wave implies that an ascending movement is over. We can’t exclude a possibility that on Friday the instrument may make a reverse and start forming an initial bearish wave. 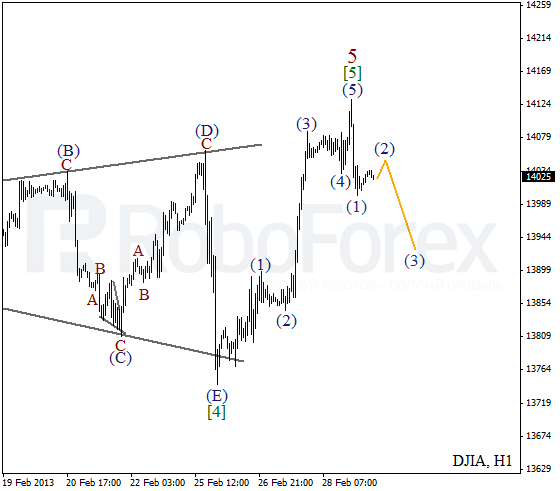 More detailed structure of wave  is shown on the H1 chart. I should note that an ascending movement may turn out to be just the first wave inside wave , but so far it’s an alternative scenario. 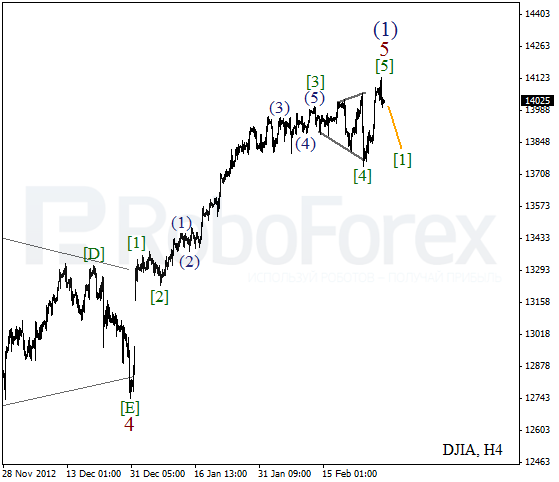 Most likely, after a local correction, the Index will start a new descending movement inside wave (3). 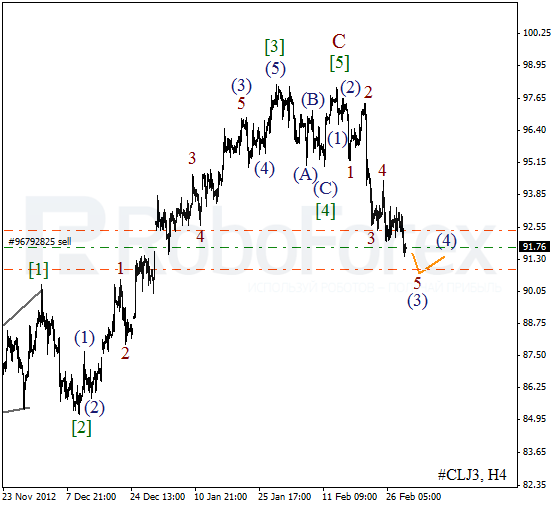 Oil is still expanding wave (3). On Thursday the bulls managed to break a local minimum. In the near term, the price is expected to continue falling down. 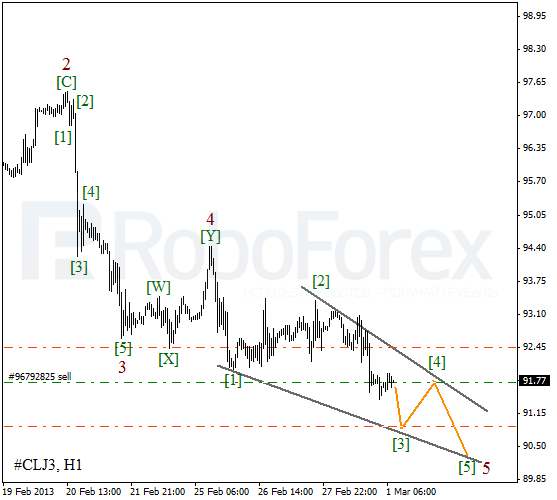 As we can see at the H1 chart, the price is forming diagonal triangle pattern inside wave 5. On the minor wave level the instrument is forming the third wave. After a local correction, Oil may start a new descending movement.